Ah my fears have been realized. The chefs that came up with the menu and worked at Rock 'N Roll sushi are no more. I knew these guys went around and opened restaurants, get them going and then moved on to the next but I had hopes the quality at this sushi joint would stay the same. From this experience, I can say that it did not. 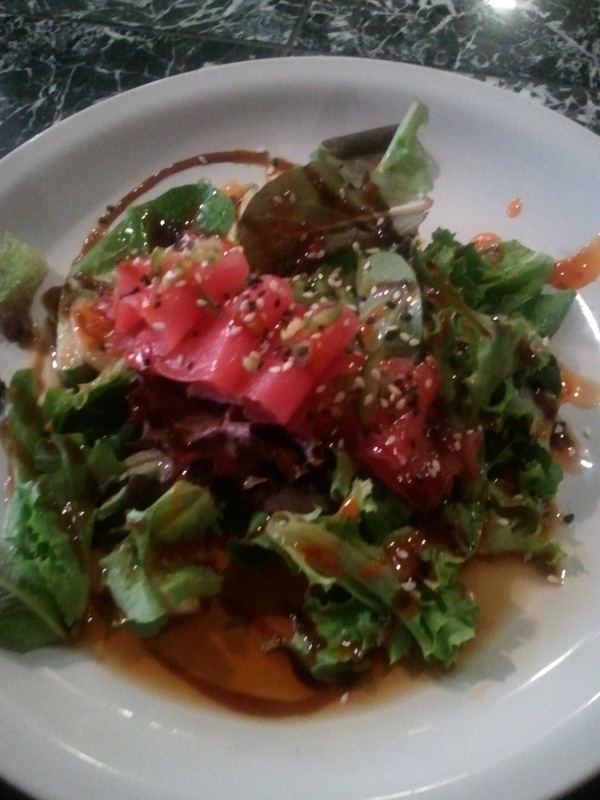 For an appetizer, I ordered the spicy tuna sashimi salad. It's your basic mixed green salad with several small, thin slices of tuna. The entire thing is drenched in the "chef's secret dressing." 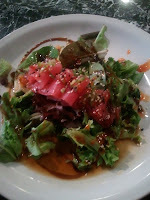 The dressing tasted like it was made of fish sauce, sesame oil and rice wine vinegar. There's also chilli sauce and hoisin sauce little drizzled on the plate. There's a lot going on with this appetizer and not all of it good. The salad was dressed way too heavy and the dressing itself wasn't balanced. Each bite tasted different and not altogether in a good way. The tuna, what little there was of it, tasted very fresh. 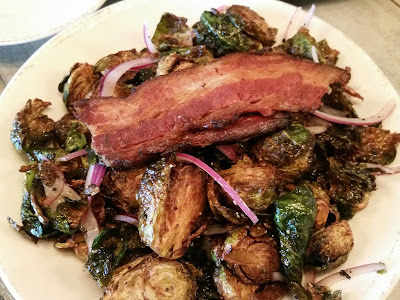 There was nice thin slices of jalapeno peppers over the top which accounted for the spicy part of the dish. All in all, not the best salad I ever had. I ordered two of the headliners rolls: the Motley Crue and Scorpions Rolls. 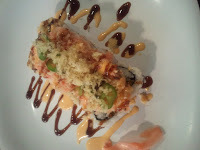 The Motley Crue is spicy crawfish, crabmeat, baked scallops, cucumber, jalapeno with a glaze of spicy mayo and eel sauce. This one is definitely not worth the money for me. You can expect each section to have one crawfish tail in it, along with a piece of cucumber. The main appeal should be the heap of toppings but I really didn't like the flavor. The majority of it was krab but it had a very fishy taste to it. I think it would have been better if the sauces were drizzled on top of the roll than used to decorate the plate. The jalapenos did give it a nice little kick though. 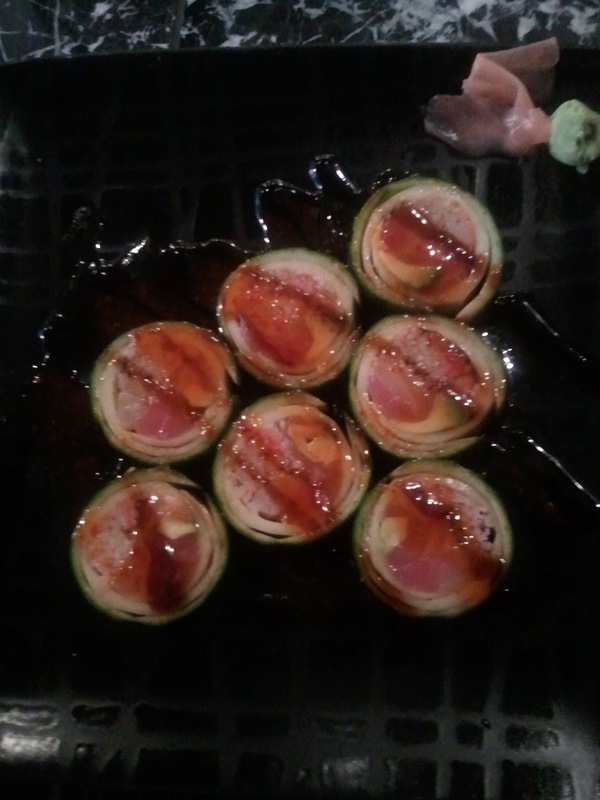 The Scorpions Roll is described as avocado, crabmeat, white tuna, salmon and yellowtail wrapped in a cucumber peel. When I had my first piece, I had the worst taste in my mouth and it didn't have to do with what was inside the roll. The chef used the whole cucumber peel to make this roll. The skin had a standing water type of smell and taste. I proceeded to remove the skin on the rest of the roll and it was much more tolerable. I thought this place would have a bevy of chefs trained to take over once the start up guys left but that is not like the case. 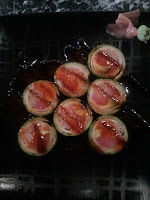 The rolls are all very complex and if not done correctly can throw off the taste. I wish they would have kept their menu a little simpler for the ease of the transition. As it stands, it would be hard pressed for me to come back and give this place another shot because the quality has taken a dive. On a more positive note, service was much better this time around. 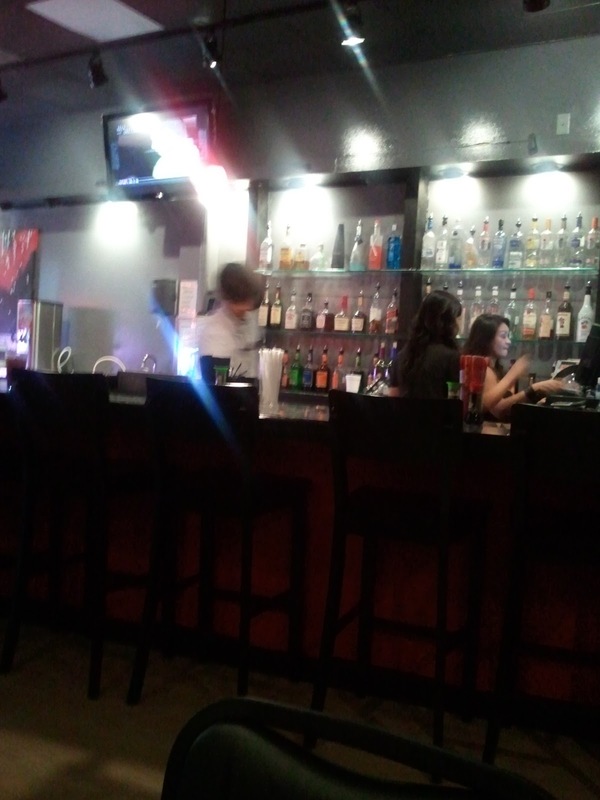 I did elect to sit at the bar forcing not only the casher/waitress to notice me but also what looked like the manager/owner to cater to my needs as well. 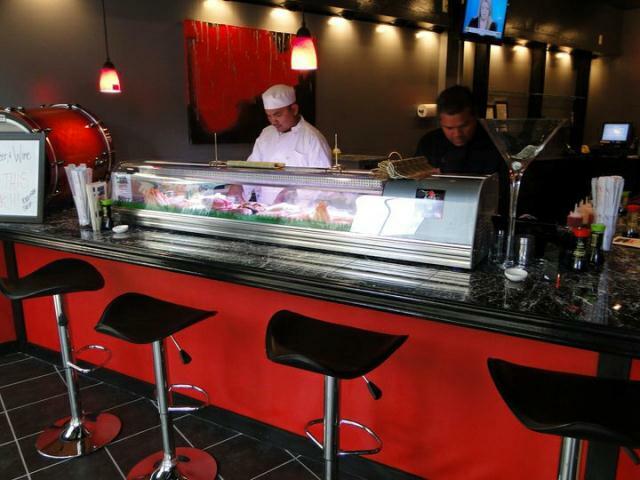 You would never guess, some of the best sushi in Mobile can be found at the Bel Air Mall. 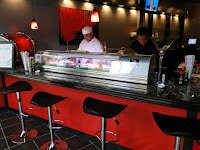 Rock 'N Roll sushi is located near the front entrance of the mall and far exceeded my expectations. First let me say, I had the oddest experience. Not only because my brother and I saw someone we knew at RNR but also the way he acted. This guy apparently is good friends with two of the chefs. After we sat down, he proceeds to close our menus and says he'll get his friends to take care of us. Umm ok. He jumps up and heads to the sushi bar where he talks to (no lie) Chi Chi. Chi Chi, the sushi chef, points in our direction, gestures wildly and says ok I got them. When the waitress comes by to take our order, I have no idea what Chi Chi is getting us. 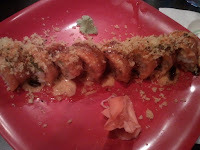 Before I could open the menu back up and look at it, the waitress suggest two rolls; the Black Pearl and Journey. I went ahead and agreed. Chi Chi came up with this great sushi roll. There's no name, it's just something he came up with on the fly. There was smoke salmon on top, some tuna as well with a spicy sauce and tempura flakes. It was decadently good. I am kinda angry though. Because as much as I loved it, I will never be able to get the same roll again due to the fact that Chi Chi probably won't remember what he put in it. The Journey and Black Pearl didn't come out bad either. The Black is yellow tail tuna mixed with an aioli sauce, topped with blue fin tuna, crab meat and citrus sauce. 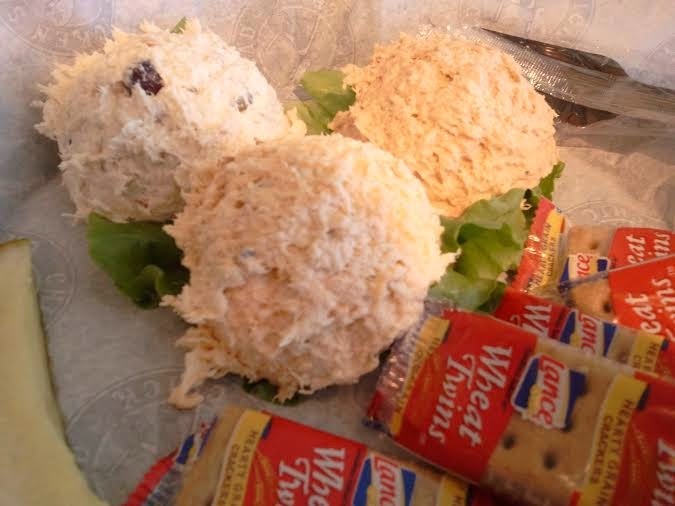 The Journey is tuna, crab meat, topped with salmon, orange slices and citrus juice. 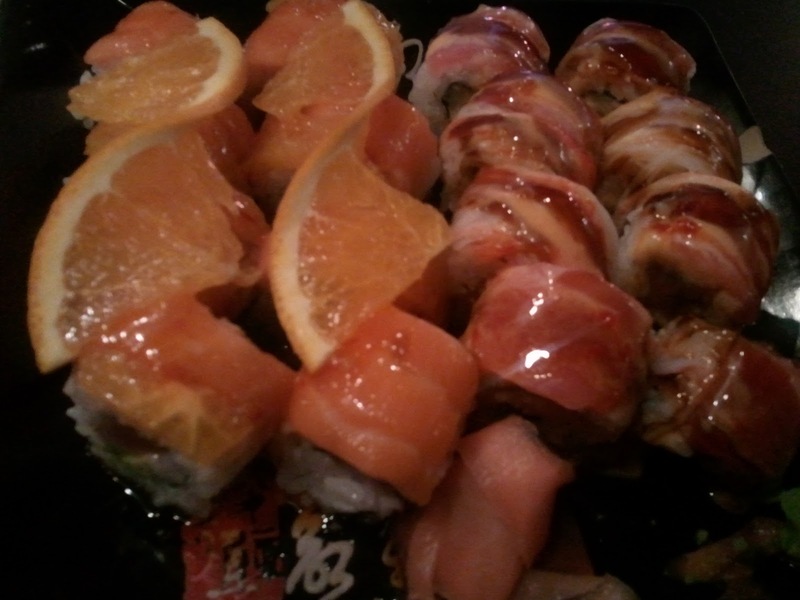 The citrus juice on both of these rolls really make them special. In the Black Pearl, the juice makes all the fish taste more fresh and lively. In the Journey roll, the sweetness of the orange slices and juice makes what could be a standard roll great. All three rolls I got were on the highest end of the price range. Each were $13; which is steep but they were all relative large with a lot of fresh fish so worth it. I really didn't like the service. I felt as if I was being rushed to make decisions. Not only that, when I got the check - the waitress stood there waiting for me to pay. When I got the credit card slip back, she picked up the dirty dishes and was right back at the table waiting to collect. Next time, I'm going to be sitting at the bar and hopefully get better service. For a look at the menu, click here.